The platinum and palladium markets arguably receive more focus during the third week of May than at any other time of the year. This is due to a series of events hosted in London known as London Platinum Week. London Platinum Week, which also covers other platinum group metals such as palladium, is coordinated by the London Platinum and Palladium Market (LPPM) association and its members. This year, London Platinum Week runs from Monday 16 May until Friday 20 May. The LPPM is intrinsically linked to London Platinum Week. Indeed, London Platinum Week is specifically held in the month of May because it commemorates the fact that the LPPM was founded in May, in 1987. To coincide with London Platinum Week, this article looks at the relatively low-key organisation known as the London Platinum and Palladium Market (LPPM), and associated entities such as the London Platinum and Palladium Fixing Company (LPPFC), as well as the more recent platinum and palladium fixings, which are now administered by the London Metal Exchange (LME) on behalf of the London Bullion Market Association (LBMA). 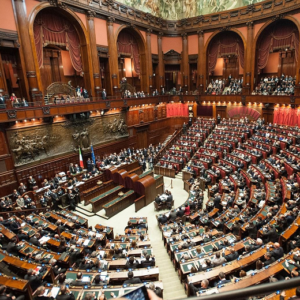 It is also timely to take a look at LPPM since it will most definitely cease to exist as a stand-alone entity later this year after it merges into the LBMA through a series of manoeuvres which have already been planned and scheduled, the first of which is a general meeting of the LBMA on 29 June. 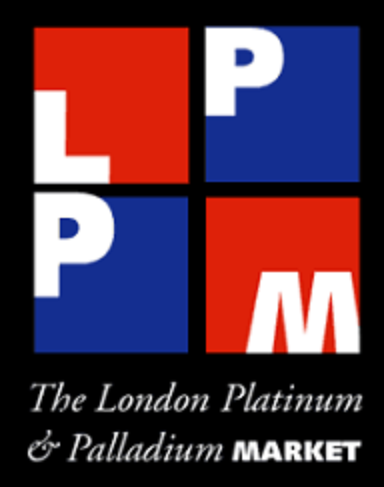 LPPM is a trade association representing the interests of its members on the London platinum and palladium markets. 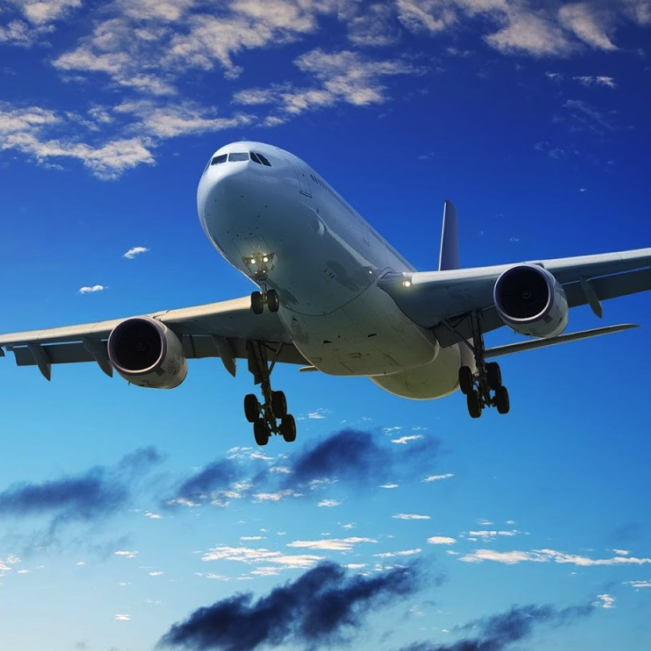 LPPM operates the London/Zurich Good Delivery List for refiners of platinum and palladium, and also liaises with UK regulators and bodies such as HM Revenue and Customs. “an international self-management industry organization controlling Platinum and Palladium fair trade and appropriate products”. Without stating the obvious, the London Platinum and Palladium Market (LPPM) is worth being familiar with because it oversees the London platinum group metals markets. More importantly, the LPPM members, especially its market making members, have a very influential input into daily price discovery in the global platinum and palladium markets, which in a real way impacts all users of and investors in platinum and palladium around the world. And given that LPPM appears to be run in a very informal clubby style with the same opacity and barriers to entry that surround the London Gold and Silver Markets, this should be concerning to platinum and palladium users and investors worldwide. As an entity, LPPM is structured as an association, but unlike the London Bullion Market Association (LBMA), the LPPM is not a registered company. Both organisations are most usefully viewed as the public faces of the member entities, especially the banks, that operate in the precious metals markets. Currently, LPPM has 17 full members (10 of which are banks), 35 associate members and 52 affiliates. The full members of LPPM that are banks are JP Morgan, HSBC, Goldman Sachs, UBS, Bank of Nova Scotia, ICBC Standard Bank, Credit Suisse, Deutsche Bank, Standard Chartered and Toronto-Dominion Bank. All of these 10 banks are market-making members of LPPM along with BASF Metals, which is also a full member. The remaining 6 full members of LPPM are precious metals refiners, namely, Johnson Matthey Plc of the UK, Tanaka Kikinzoku Kogyo of Japan, Germany’s Heraeus, and Metalor, PAMP and Valcambi of Switzerland. Tanaka only became a full member of LPPM in March 2015, where its full membership was voted on at the LPPM AGM. This illustrates that it is not a matter of merely applying for membership when attempting to become a full member of LPPM, the application has to be endorsed by the existing full members. Barclays and Mitsui & Co Precious Metals Inc were also still listed as full members of LPPM as recently as January 2016, but both have now been reclassified as associate members. The associate members of LPPM also include a large number of banks such as Citibank, SocGen, Morgan Stanley, Merrill Lynch, Barclays, Commerzbank, Natixis, RBC and BNP Paribas as well as commodities trading companies, brokers and the trading arms of platinum and palladium producers. LPPM therefore appears to be a private, members only trade organisation dominated by a small number of bullion banks, and in that regard is rather like the LBMA. The 1987 incorporation document of the London Bullion Market Association can be seen here, with its first registered office of ‘New Court, St Swithins Lane’, i.e. the headquarters of N.M Rothschild in London. The LBMA was founded by N.M. Rothschild & Sons Limited, J.Aron & Company (UK) Limited, Mocatta & Goldsmid Limited, Morgan Guaranty Trust Company of New York, Sharps Pixley Limited, and Rudolf Wolff & Company Limited. LPPM was also established in 1987. Technically, LPPM was established so that the London platinum and palladium markets could be added to the UK’s Terminal Markets Order (TMO) exemption list so as to receive a zero rate of VAT from HM Revenue & Customs on sales of metal between LPPM members and non-members. LPPM was added to the VAT (Terminal Markets) Order by an amendment to the Order on 5 May 1987. “Unincorporated Associations are groups that agree, or ‘contract’, to come together for specific purpose. They normally have a constitution setting out the purpose for which the association has been set up, and the rules for the association and its members. 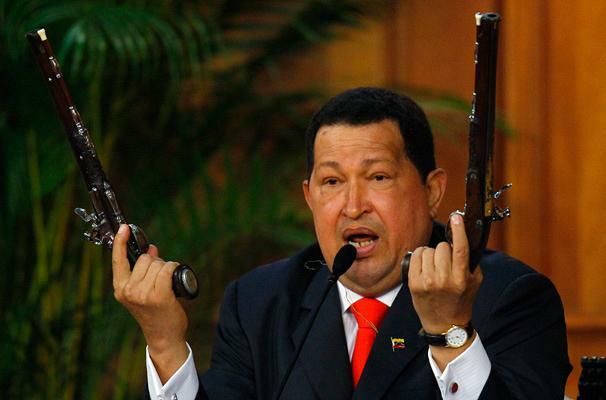 They are typically governed by a management committee”. LPPM therefore must have a deed of establishment and probably has a constitution, but where these documents are publicly filed, if at all, is anybody’s guess. All of these 6 founding members of LPPM are still full members of LPPM in one shape or another. 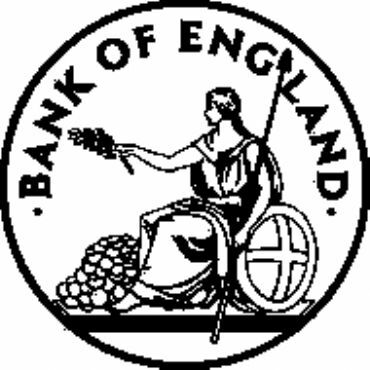 Samuel Montagu through it being part of Midland Bank became part of HSBC, as did Mase Westpac which was bought by Republic National Bank of New York in 1993 which was then acquired by HSBC. Aryton Metals became part of Standard Bank in 1994. ICBC has recently acquired Standard Bank, and is now known as ICBC Standard Bank. BASF acquired Engelhard in 2006, hence the entity that was formerly known as Engelhard Metals is now known as BASF metals. The old Sharps Pixley business was bought by Deutsche Bank in 1993. Johnson Matthey still exists today as John Matthey. Note that 4 of the 5 platinum and palladium auction participants are founding members of LPPM. More on the daily platinum and palladium auctions below. LPPM currently has a 9 person management committee, comprising a chairman from Johnson Matthey Plc, a vice chairman from ICBC Standard Bank, and committee member representatives from HSBC, BASF Metals, SocGen, Toronto-Dominion Bank, Metalor, Heraeus and Anglo Platinum Marketing Ltd. Notably, 4 of the 9 members of the LPPM management committee, ie Johnson Matthey, HSBC, BASF Metals and ICBC Standard Bank, also represent 5 of the 6 founding members of LPPM and are also 4 of the 5 members participants in the daily London platinum and palladium price auctions. In addition to the fact that it’s a private association without any public filings, there are a number of organisational aspects about LPPM which indicate that it is run on a much more piecemeal style than the LBMA, with a setup more akin to a local golfing society than the global representative of the world’s biggest platinum and palladium trading hub. The LPPM’s Secretary and office address of LPPM is in Redbourn, Hertfordshire, 30 miles outside London. The LPPM’s inter-organisational relations contact is a former Chair of LPPM, who at the time represented LPPM member Mitsui, but Mitsui exited the precious metals markets in London last year, although this former chair is still involved through this LPPM role, but at what address? There are no published details or minutes of LPPM AGMs and very few press releases – ever. The only press releases that are retained on the LPPM website are here, with a few others traceable here and here. All in all, quite a strange and secretive organisation that makes the LBMA look like the epitome of transparency. The London Platinum and Palladium Fixing Company Limited (LPPFC) is another low-key entity within the London platinum and palladium market, and not surprisingly it has very very close connections with LPPM. LPPFC is a private company made up of directors from HSBC, Goldman Sachs, ICBC Standard Bank and BASF Metals. As its name suggests, LPPFC was established for the purpose of operating the Platinum and Palladium price auctions. LPPFX was incorporated on 3 December 2004, and operated the platinum and palladium fixing auctions up until 1 December 2014, i.e. for 10 years exactly. However LFFPC has not been dissolved, nor has the London Gold Market Fixing Company been dissolved, nor has the London Silver Market Fixing Company been dissolved. “The dissolution of a corporation is the termination of its existence as a legal entity.” LFFPC continues to exist as an active legal entity, company number 05304018. LPPFC made an annual return in January 2016. LFFPC even had a director appointed to it as recently as February 2016. The company secretary for LPPFC is Reed Smith Corporate Services of Broadgate Tower, 20 Primrose Street, in the City of London. 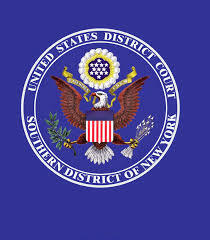 The reason LFFPC has not been dissolved is that it is a currently one of the defendants in a consolidated class action suit taking place in the Southern District court in New York, where it is accused of platinum and palladium price manipulation along with the fixing members of LPPFC, namely Goldman Sachs Group Inc, HSBC Bank USA NA, ICBC Standard Bank PLC, and also UBS (not a fixing member of LPPFC). This class action was filed on 21 April 2015. In late 2015, the defendants tried to have the plaintiff’s motion dismissed but this was not upheld by the court. The class action suit against LPPFC and its member companies is in many ways similar to class action suits currently running against the London Gold Market Fixing Company and its members and the London Silver Market Fixing Company and its members, although the gold and silver class actions have received more publicity than the platinum / palladium suit. The platinum / palladium class action case is “In re Platinum and Palladium Antitrust Litigation, No. 14-cv-9391” and is being heard by Judge Gregory D Woods. Plaintiffs are represented by Berger & Montague, and Labaton Sucharow. A few recent submissions by the plaintiffs lawyers to the court can be seen here (Berger Montague and Labaton Sucharow). Some of the defendant’s submissions in late 2015 to dismiss the motion (which was unsuccessful) can be see here (LPPFC motion to dismiss, ICBC motion to dismiss, BASF motion to dismiss, UBS motion to dismiss). In the summer of 2014, during the period when the London Silver Fixing auctions were transitioning to a new platform via a high-profile competition that eventually resulted in the new LBMA Silver Price auction system being administered by Thomson Reuters (the award of which was announced on 11 July 2014), the LPPFC made a few stealthy moves to jettison its own operational role in the platinum and palladium fixings. 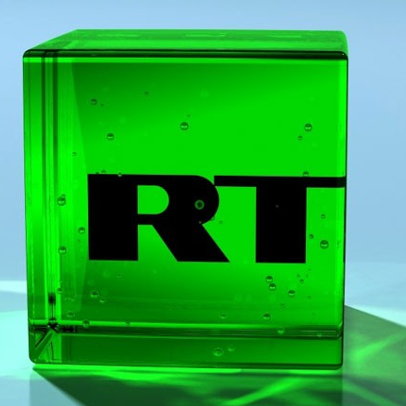 These moves went mostly unreported and un-scrutinized in the financial media. “shortly commence an RFP [Request for Proposals] process with a view to appointing a third party to assume responsibility for the administration of the London Platinum and Palladium Fixing“. The press release also stated that “The RFP process will be launched shortly. Expressions of interest in that process should be directed to enquiriesptpdfixing@lppm.com by no later than 6 August 2014.” Given that 6 August (a Wednesday) was 3-4 business days after the announcement that an RfP process was being launched, this is extremely short notice for intending applicants to signal their interest in such a process, especially since it was the August holiday season in the City of London and the London financial services and technology industries. It’s as if the LPPFC did not want any potential applicants to express interest in the RfP. Given that there is no evidence to suggest that there were any applicants to this process, not any short list, nor any competition, it would appear that the contract was merely handed to the London Metal Exchange. I asked the LPPM recently to confirm how many applicant companies participated in the LPPFC RfP process that took place between August and October 2014, and of the applicant companies, could they confirm how many applicants were shortlisted and their identities? LPPM eventually responded that they did not carry out the RfP process and had passed my query on to the then chair of the fixing company [LPPFC] who would respond to me ASAP. When no response was received after a week of waiting, I asked the LPPM to confirm who my query had been passed on to. This question itself was not responded to by the LPPM. Hence, my conclusion is that neither the LPPM nor LPPFC wish to discuss the matter, and my conclusion is that there was no contested RfP process to run the replacement platinum and palladium fixings, and that the process was merely handed to the LME. The reason why this is not surprising, apart from the secretive and stealthy operational culture of the LPPM / LPPFC, is that there is good reason to believe that the LME was being sweetened and placated with the platinum and palladium fixings administrator role after it failed to secure the administrator and operator role in the LBMA Silver Price competition in July 2014, a role which was awarded to Thomson Reuters and the CME Group. I have heard from a number of people in the precious metals sector in London that the LME was not happy about the way in which the LBMA awarded the silver price auction contract. Frankly, this ‘bar bones’ pitch statement by Chamberlain in bizarre and preposterous, in light of the fact that the LME is on record during the Silver auction competition in July 2014 as saying it had a full and complete solution that it claims was considered the best solution by much of the market. The reference to not having enough time is also bizarre and hard to fathom. “While the LME’s proposal is relatively advanced, CME Group is only in the early stages of considering a new silver fix, people with knowledge of the matter said. Two days later on 11 July 2014, the LBMA announced that CME / Thomson Reuters had secured the silver price auctions contract, news which must have caused much chargin and gnashing of teeth to LME and Autilla. 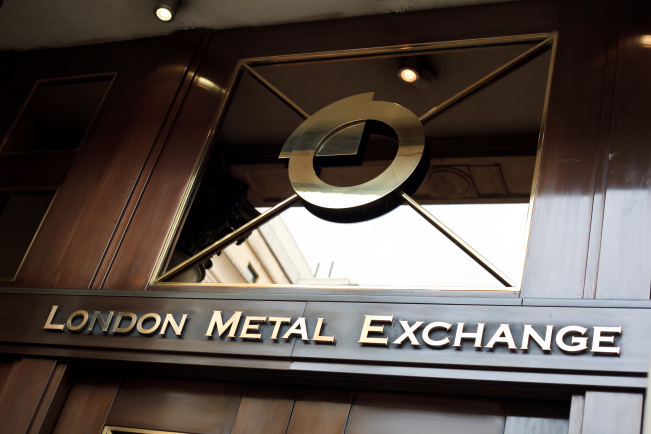 On Thursday 16 October 2014, the London Platinum & Palladium Fixing Company Ltd (LPPFC) awarded the contract to run the platinum and palladium price auction fixings to the London Metal Exchange (LME). LPPFC communciated this appointment in a press release which was published on the LPPM website (another example of the unhealthy inter-connectedness between the LPPM and LPPFC). But the more interesting announcement that day came from the LME’s own web site where it issued a press release that was 7 paragraphs long, and also contained 2 ‘Notes to Editors’ bullet points. The final two paragraphs of the LME’s press release that morning on 16 October 2014 explained the LME’s plan to use its LME Clear clearing service for platinum and palladium, so as to overcome the problem of bi-lateral credit risk between auction participants in the platinum and palladium auctions. This bilateral credit risk is huge barrier in the London Silver and Gold Price auctions as creates an obstacle for a wide-range of participants such as miners, refiner and mints to (on a practical level) taking part in the auctions. For background on the obstacle posed by not having central clearing, see for example “The LBMA Silver Price – Broken Promises on Wider Participation and Central Clearing“. “To maximise participation in the London pricing mechanism, the LME also plans to introduce a cleared platinum and palladium service, which will mitigate the difficulty associated with participants taking bilateral credit risk in positions. Less than 3 hours later (somewhere between 13:34 and 14:21), the LME removed these 2 critical sentences from its press release and reissued an amended version of the press release on its website. 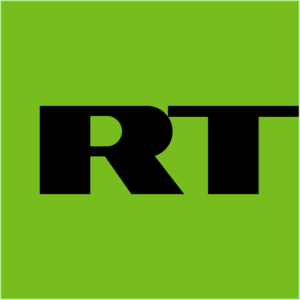 The 13:34 and 14:21 time-stamps are based on Google cache which had made an imprint of the original press release at 16 Oct 2014 13:34:19 GMT and had found the amended press release at 16 Oct 2014 14:21:49 GMT. “To maximise participation in the London pricing mechanism, the LME plans to “introduce a cleared platinum and palladium service, which will mitigate the difficulty associated with participants taking bilateral credit risk in positions”. Therefore, between 1:34pm and 2:21pm, someone at the LME deleted the two sentences on clearing from the press release and the reference to LME Clear. LME Clear was launched on 22 September 2014. 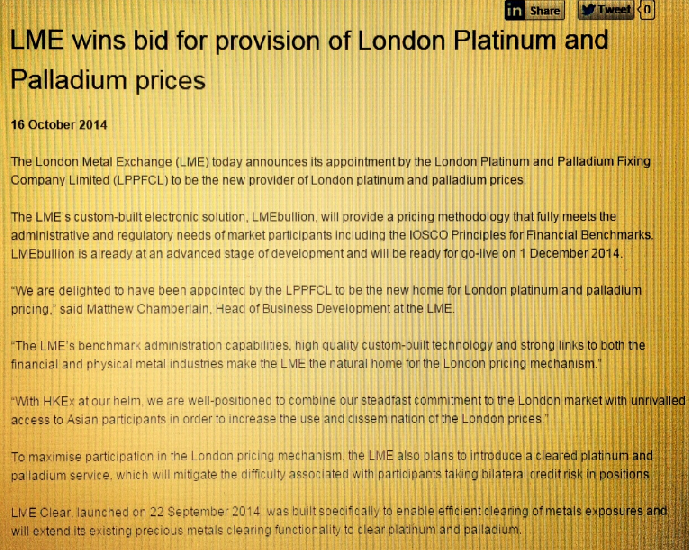 The LME press release now remains on its web site in its second incarnation. The most important question is why was this press release altered as soon as it was released, and who requested that it be altered. Was it too revealing to the incumbent parties that central clearing would blow apart current clearing status quo and make redundant the argument that widespread participation in the precious metals auctions is a difficult process? Because with central clearing of auction trades, direct participation in the platinum and palladium auctions for hundreds of platinum and palladium entities around the world would be a very simple process. This looks like a re-edit that was designed to distract from the fact that the LME auction was merely the same 4 old fixers in a different disguise, or in other words, “meet the new boss same as the old boss”, or “same old wine, in a new bottle“. It’s highly comical that the exact same participants that were in the old platinum and palladium auctions now appear in the new platinum and palladium auction as the only participants, and the LPPM, LBMA, LPPFC and LME have the gall to keep a straight face when reporting this. In fact, it would be a complete joke, if it were not for the fact that the topic of global price discovery of platinum and palladium is critically important. And finally, neither of the LME executives that were interviewed by Reuters that same week of October 2014 , in an article about the platinum and palladium contract award titled “LME CEO plays Asia card as gold market decides on fix replacement” even mentioned LME Clear to Reuters. Hmm, I wonder why? The LME’s brochure about LMEBullion now states that “All transactions in platinum and palladium are Loco London and are settled on a bilateral basis“. Again, no mention of LME Clear or the central clearing capabilities of the LME. On the day the LME platinum and palladium price auctions went live on 1 December 2014, it was announced by the LBMA that the auction / benchmark prices would be called the LBMA Platinum Price and the LBMA Palladium Price. This, according to the LBMA, was due to the LPPFC having asked the LBMA to take over the intellectual property for the two sets of daily prices before the new auctions were launched. Trademarks for the LBMA Platinum Price, LBMA Palladium Price and also LBMA Platinum and Palladium Price were registered by the LBMA on 28 November 2014, and a LBMA company called ‘Precious Metals Prices Limited’ was incorporated on 1 December 2014 to manage the intellectual property rights of the LBMA Platinum Price, the LBMA Palladium Price, the LBMA Silver Price and the LBMA Gold Price. LBMA Platinum Price and LBMA Palladium Price auctions take place twice daily at 9:45am and 2pm London time. The platinum auction is schedule to run first, followed by the palladium auction. LME runs the daily auctions for platinum and palladium on an electronic auction system called LMEBullion. However, since January 2015 however, no other member participants have joined. Why not? And why are there no industry participants directly participating in the auctions? Similar wording and the same list of 12 banks is also stated in the official filings of the ETFS Palladium Trust (PALL). Therefore, according to ETF Securities, participation in the LBMA Platinum and Palladium daily price discovery auctions is also a closed-shop in a similar way that participation in the LBMA Gold Price and LBMA Silver Price auctions is a closed-shop, with only a handful of dominant bullion banks being allowed to directly participate. Since the beginning of 2016, Barclays has withdrawn from some activities in the precious metals markets in London. Excluding Barclays from the above list and excluding BASF Metals Ltd, then all of the other 10 banks that are allowed to participate are the only banks that are full members of the LPPM. Therefore, the rules of the auctions are de facto limiting ‘formal participation’ in the platinum and palladium auctions to LPPM bullion dealer full members (i.e. bank entity intermediaries), and by extension, excluding every other platinum and palladium market participant in the world of which there are thousands. Note that 7 other banks, namely, JP Morgan, Scotia, Barclays, UBS, Deutsche Bank, Toronto Dominion Bank,and Credit Suisse, are ‘participating’ in the fixes in addition to the 5 member participants. Some readers will recognise that 4 of these additional banks, JP Morgan, Scotia, Barclays, and UBS, are clearing members of the London precious metals markets along with HSBC and ICBC Standard through their membership of London Precious Metals Clearing Limited (LPMCL). The power of LPMCL banks in all four of the London precious metals markets, and their obsession with maintaining the clearing status quo, should not be underestimated, but it is a point which seems to have been ignored by the London financial media. There does not appear to be any information on the LME website or associated uploaded documents that explains how interested participants can become participating members in the LBMA Platinum and LBMA Palladium auctions, or what the participation criteria is. These auctions therefore look like private clubs in the same vain of the LBMA Gold Price and LBMA Silver Price auctions, but even more closed and protected than their silver and gold counterparts. However, the LME website shows that this Oversight Committee only consists of 3 representatives from the LME and no one else. It doesn’t even contain representatives from the member participants. Even if it did though, it’s still not independent, since there are no representatives from the wider global platinum / palladium sectors. Even the LBMA Gold Price and LBMA Silver Price administrators operate independent oversight committees, which while not perfect, are far more diverse than the LME Oversight Committee. See ICE Benchmark Administration (LBMA Gold Price) oversight committee and Thomson Reuters (LBMA Silver Price) oversight committee. Apart from the fact that a lot of the same bullion banks and refiners have the strongest voices in both the LBMA and LPPM, the two bodies already collaborate on various initiatives, the most high-profile of which is the annual LBMA / LPPM precious metals conference. Up to a few years ago, this conference was described as “the LBMA Conference in association with the LPPM“, but is now billed as “the LBMA/LPPM Precious Metals Conference“, with LPPM having equal billing. The LBMA and LPPM have also on occasion jointed produced publications such as “A Guide to the London Precious Metals Markets“. The LBMA now plans to “update its legal structure and governance and a General Meeting has been called on June 29“. Note that this General Meeting is not the AGM. The implication here is that the proposals being tabled will be voted through by the members as the LBMA expressly wants them to be voted through. This General Meeting on 29 June has pushed back the scheduling of the LBMA Annual General Meeting to 27 September which will now “incorporate, into the constitution of the LBMA, the governance and legal structure changes agreed at the General Meeting in June.” So again, there is a presumption on the part of the LBMA that the proposed changes will go though. And there is no reason to doubt that these changes will not be implemented given that the entire plan has been in the works since at least mid 2014. This whirlwind tour of the LPPM and associated entities will hopefully provide some pause for thought during London Platinum Week.